Don't know where to find the rooms for our information sessions? No problem! Check out these resources! 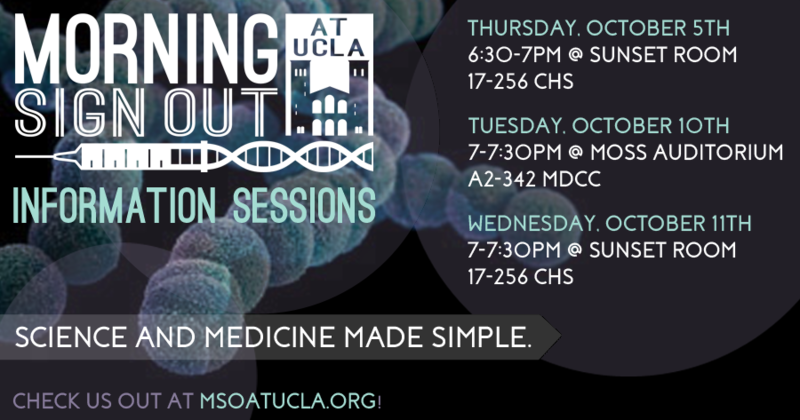 If you have any questions, feel free to contact us at morningsignout@ucla.edu. We hope to see you there! Please keep in mind that the doors to the Life Sciences Building (and therefore to CHS/MDCC) will close at 7pm, meaning that you will have to enter through a different door than shown in these videos. Follow these directions if you are arriving after 7pm!